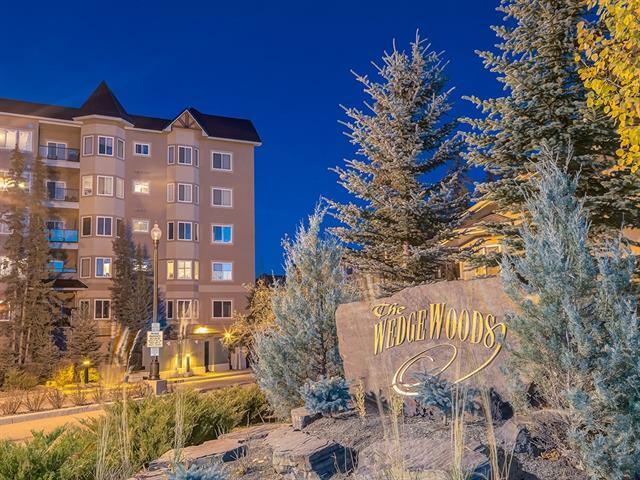 GORGEOUS TURN-KEY condo w/over 736 sq ft of living space in a PRIVATE SETTING, overlooking the QUIET + PEACEFUL PARK AREA in the SOUGHT after WEDGEWOODS of DISCOVERY RIDGE! SPACIOUS floor plan w/TITLED UNDERGROUND PARKING, 9' ceilings, BBQ GAS LINE on the GREAT BALCONY, BRAND NEW LAMINATE flooring, IN-SUITE LAUNDRY + VIEWS onto TREES, GRIFFITH PARK + NATURE - this condo has it ALL! 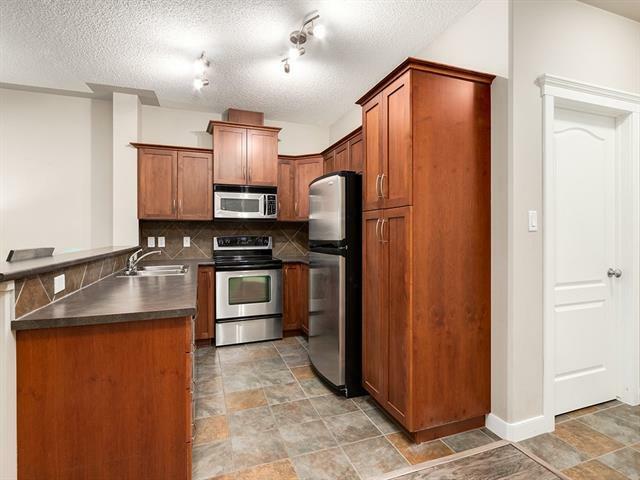 Welcoming foyer, BEAUTIFUL kitchen w/STAINLESS STEEL appliances, LOTS of CINNAMON COLOURED cabinetry, TILE backsplash + overlooks the LARGE living/dining area. BIG living rm w/INCREDIBLE VIEWS + COZY GAS FIREPLACE w/SURROUNDING STONE mantle + door leading to the PRIVATE BALCONY which YOU WILL ENJOY! 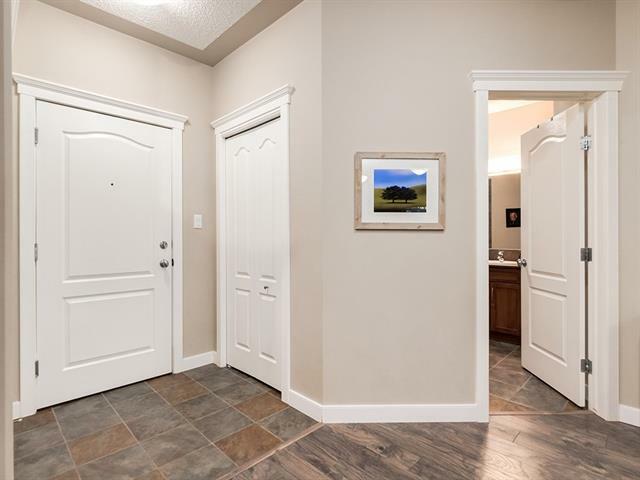 LARGE BEDROOM SUITE has a BIG WALK-IN closet, + 4 pc BATH for YOU to RELAX IN w/SOAKER TUB + WALK-IN SHOWER, + HANDY LAUNDRY RM completes the floor plan! 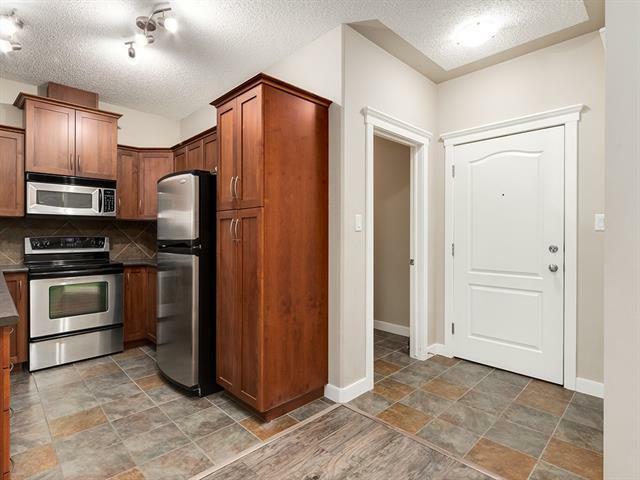 w/EXCLUSIVE AMENITIES like the REC ROOM + GYM, SO CLOSE to TONS of SHOPPING, transit + the upcoming STONEY TRAIL for a QUICK COMMUTE! AMAZING VALUE so book your showing today!! !